Providing the DM Club Supplies has the items in stock we deliver within 24 hours. Delivery is available outside of these areas but additional charges may apply. If you are unsure please contact us at sales@dmclubsupplies.co.uk before placing your order. 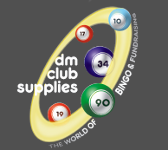 DM Club Supplies reserves the right to decline any order placed where additional delivery costs may apply. We deliver the products you order to the address you specify for delivery. It is important that this address is accurate. It is a condition that all orders despatched will require a signature on delivery; we will never leave items unless they have been signed for. We will use all reasonable endeavours to deliver the Goods by the delivery date stated, however, we cannot accept any liability in the event that the Goods are not delivered by the specified date. We cannot accept any liability for any loss or damage to the products once they have been delivered and signed for. If you are returning an item to us because it is damaged, defective or due to an error on our part or any shortages in your delivery, you must notify DM Club Supplies in writing within 3 working days of delivery. DM Club Supplies will check all items that are returned as damaged or defective. In the event that we find no fault with any item, we reserve the right to recover the cost of the item and our expenses from you.